Yesterday we got to watch a wood pecker high up in the tree. 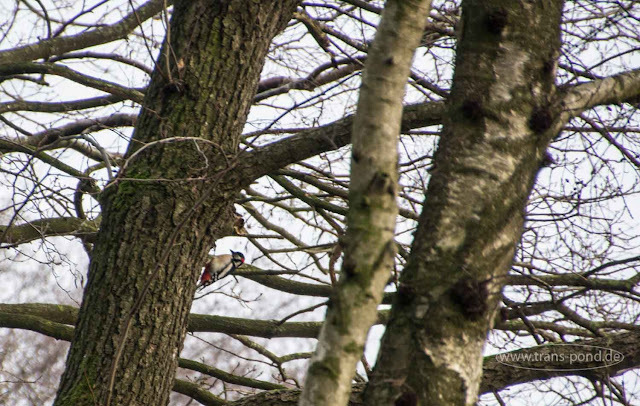 With a tele lens you get a much better view of birds than with your naked eye. Just you need to spot them first to know where to direct and zoom that lens.